Thirteenth anniversary gift is not, in fact, lace. It is hot guys. KPD gave me the gift, as is our tradition, when he woke me up in the morning, and since I intend to eventually read the books in bed, I left them there, figuring I’d put them away eventually. Last night, when we went upstairs to get ready, Kid picked up the books and looked at them. We talked a bit about the difference between a memoir and an autobiography, and she remembered Carey Elwes from The Princess Bride. 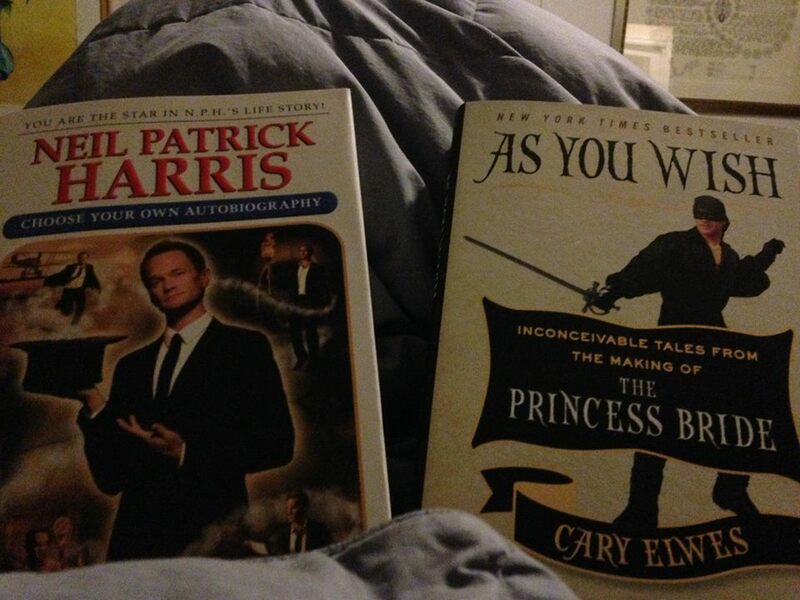 Then she looked more closely at Neil Patrick Harris’s picture on the cover of his book. “Where do I know him from?” She asked. My first thoughts belied my age. I knew that neither Doogie Howser nor How I Met Your Mother would mean anything to the Kid, so I kept silent, frantically searching my brain for something she had seen NPH in recently. I knew there was something age-appropriate he had done, but couldn’t come up with it right away. Just as she said it, I remembered one of the Kid’s favorite things about NPH. Every year, he and his family dress up in the most amazing Halloween costumes. And when NPH tweets out the new costume each year, I show the Kid, and she asks me to show her all the pictures from previous years. The Kid though for a second or two, then her face lit up in recognition, “Oh, yeah!” She said. And that was it. She made no comment about NPH being gay. She made no comment about two men being married and having children. She thought nothing of the phrase “his husband.” To her, these things are just part of life. Totally unremarkable. 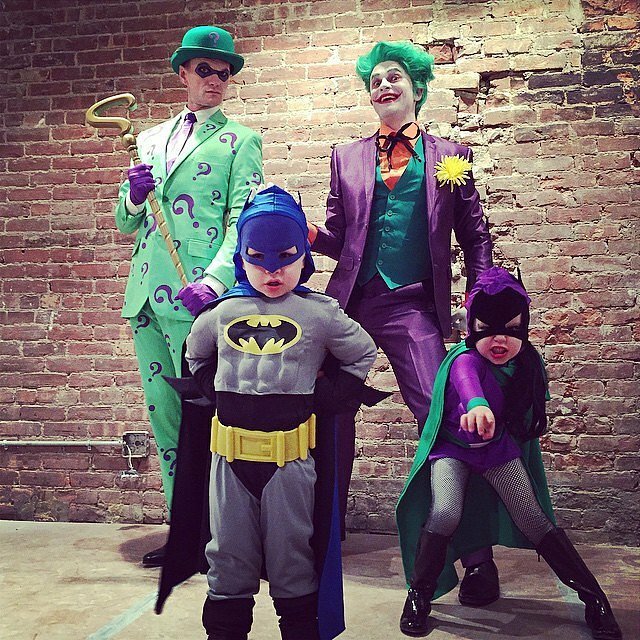 The only thing interesting to her about Neil Patrick Harris and David Burtka as a couple is the great Halloween costumes they wear with their kids. But seriously, when asked to name an NPH role, always say Doctor Horrible.